Although primarily a receiving house, Birmingham Hippodrome impressed the judges with its commitment to reaching new audiences through a variety of initiatives, including its outreach work. Under new chief executive Fiona Allan, the venue, which bills itself as the UK’s most popular single-auditorium theatre, launched a strategic review and implemented a five-year plan to create a “world-class Birmingham cultural scene, with the Hippodrome centre stage”. It has created One Million Moments, whereby it aims to match the half a million tickets it sells every year with at least half a million further engagements through community and learning programmes, in a bid to ensure all young people growing up in Birmingham can experience the Hippodrome. In 2016/17 it distributed 10,731 discounted tickets to schools across the region with 1,347 free tickets to teachers. The 1,850-seat Hippodrome has also committed to support smaller organisations, while also providing a home for both Birmingham Royal Ballet and DanceXchange. 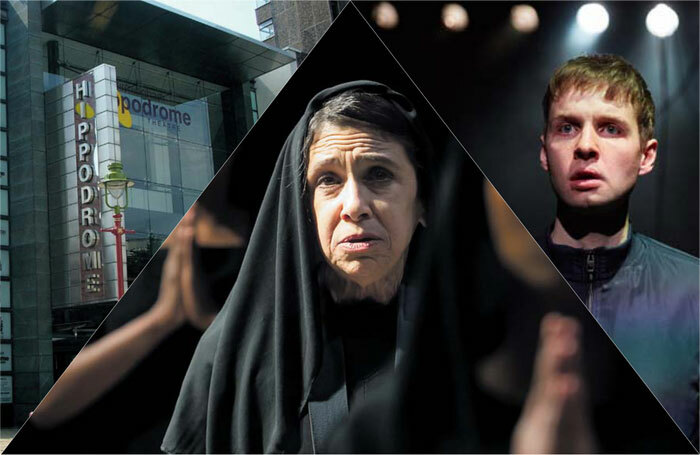 It recently formed a partnership with Sadler’s Wells Theatre in London and the Lowry in Salford, and plans to create more large-scale international work for UK stages. A former winner in this category, the Royal Exchange’s extraordinary output continued in 2017, ranging from a new production of Jane Austen’s Persuasion , in a version directed by Jeff James, to Thornton Wilder’s Our Town . Persuasion offered all of Austen’s wit and observation, but without a bonnet in sight. Other highlights included Graeae’s The House of Bernarda Alba , hailed as a landmark co-production between the two companies. It featured a mixture of speech, BSL, captioning and audio-descriptive elements to explore Lorca’s play, with a cast of D/deaf and disabled performers. The judges also praised Our Town, directed by Sarah Frankcom, who, since becoming sole artistic director in 2014, has taken the theatre in a new and adventurous direction, while bringing audiences along with it. Earlier this year, the theatre launched an audience manifesto. Believed to be the first publication of its kind, the manifesto outlines what audiences want from theatres following a survey of 2,150 people. The Royal Exchange surveyed its audience members over two years, and from this drew up a series of statements relating to what audiences want from a contemporary theatre. Under Rachel O’Riordan’s artistic directorship, the Sherman has revived itself after significant funding cuts to become a beacon for new writing in Cardiff. O’Riordan’s ongoing creative partnership with playwright and associate artist Gary Owen, which began with the acclaimed Iphigenia in Splott in 2015, has resulted in two superb productions: Killology  and The Cherry Orchard, the former co-produced with London’s Royal Court. The Stage called The Cherry Orchard “a gently heartbreaking study of landscape and loss”, while Killology was praised for the way Owen “patiently and earnestly contemplates the generations of pain underpinning male violence”. The venue is passionate about nurturing emerging talent. Through its New Welsh Playwrights Programme , founded in 2016, it guides participants through a series of workshops and training to hone their writing skills. The theatre has particularly encouraged work written in the Welsh language and boasts a network that develops young and emerging directors and theatremakers. This offers opportunities to work in both Welsh and English. Both are overseen by David Mercatali, who joined the venue in 2017 as associate director.